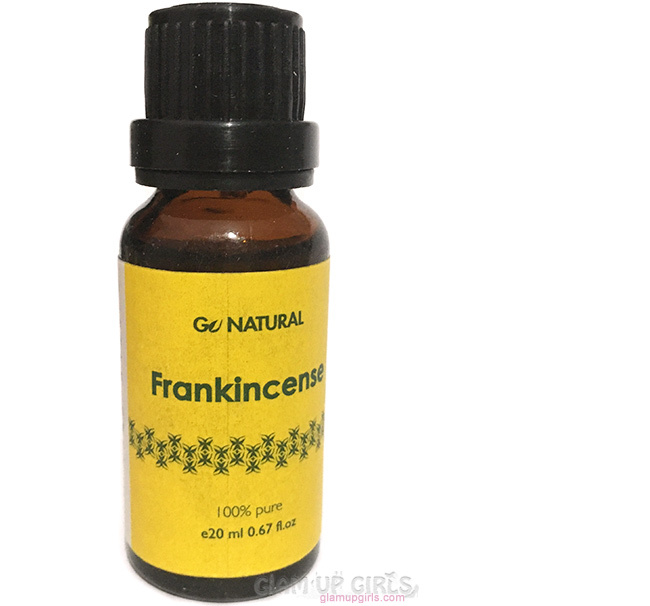 Frankincense essential oil is one of the precious oil whose value goes beyond the time of Babylonians and Assyrians where it was used for religious and healing property. In ancient Egyptians it was used for rejuvenating skin. Its soothing effect makes it perfect for salves and aromatherapy. Its effects on emotional health and gives the peace of mind, relaxation and overall wellness. It has warm and spicy scent which is vastly used in perfumes and makeup industry. It has antibacterial and anti-inflammatory benefits to the skin, making it great for acne-prone skin and reduce the appearance of imperfections. It is also a natural toner, decreasing the appearance of pores and evening skin-tone. The natural strong astringent in it encourages new cell growth, helping to tighten skin and reduce wrinkles and the appearance of scars. It is advised to used where skin become saggy like under eyes, lower chin or abdomen. Where the warm scent help your relax and fight anxiety, the antibacterial property also provide you clean environment. Using few drops in diffuser makes your surrounding feel relax and clean while giving you peace of mind. It can also help with cold and flue by inhaling it.